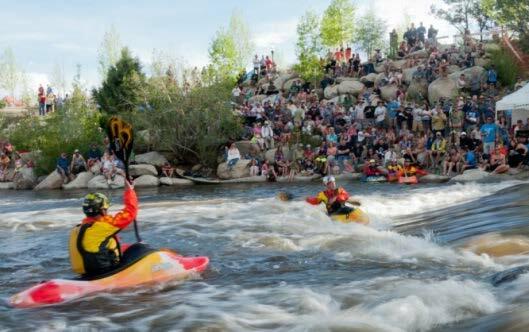 Whitewater rafting and kayaking enthusiasts, who make the Arkansas River one of the most popular whitewater rivers in the nation, received good news this week from the U.S. Bureau of Reclamation (BOR), which manages flows in the river. The BOR released its May forecast regarding the availability of water for the Voluntary Flow Management Program (VFMP) in the Arkansas River for the upcoming whitewater season and projected a minimum of 10,000 acre feet of water will be available for recreational purposes. The 27-year-old VFMP is overseen by the Southeastern Colorado Water Conservancy District, which can ask the BOR to release up to 10,000+ acre feet of water during the summer months. The availability of the 10,000+ acre feet of VFMP water should help maintain flows of at least 700 cubic feet per second (cfs) from July 1 to Aug. 15, the peak of the summer vacation season. At 700 cfs, the river would have enough volume to ensure plenty of exciting whitewater rapids for both adrenaline junkies and those seeking a family adventure. 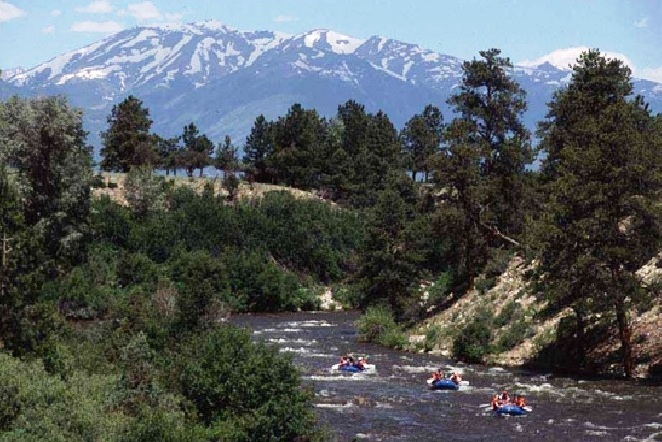 "This is great news after a winter where much of the state experienced lower-than-average snowfall and snowpack," said Rob White, park manager for Colorado Parks and Wildlife's Arkansas Headwaters Recreation Area (AHRA). "Luckily, the Upper Arkansas River Valley and the Fryingpan-Arkansas Project area received some of the best snow in the state. This means there should be plenty of water for rafters, kayakers, anglers and all the people who enjoy the Arkansas River," White said. "It should be a great summer on the river." 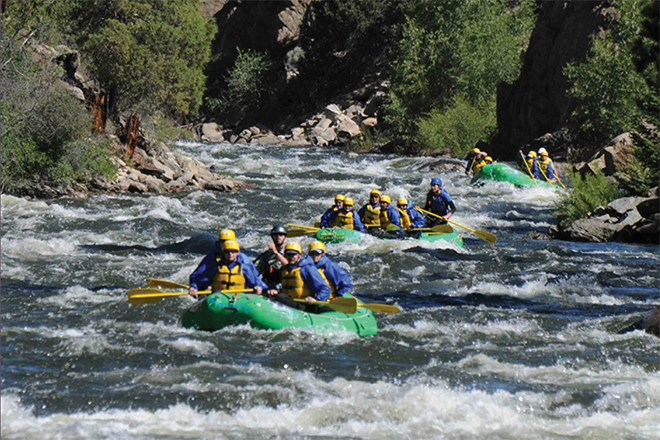 Last year, close to 50 different commercial outfitters along the Arkansas River provided life long memories for over 225,000 guests who plunged down the Arkansas Rivers' mild-to-wild rapids from just below Leadville, through Pine Creek, the Numbers, Browns Canyon National Monument, Bighorn Sheep Canyon and the Royal Gorge. The AHRA is recognized as one of the nation's most popular river-based recreation areas. The Arkansas River - one of the most commercially rafted rivers in the U.S. - also boasts a world class fishery featuring 102 miles of Gold Medal Water, which provides an excellent opportunity for anglers to test their skills at catching both brown and rainbow trout. AHRA visitors also enjoy camping, hiking, picnicking, wildlife watching, mountain biking, OHV opportunities, rock climbing and even gold panning along the river's shores, deep canyons, broad valleys and towering mountain peaks found within the upper Arkansas River valley.